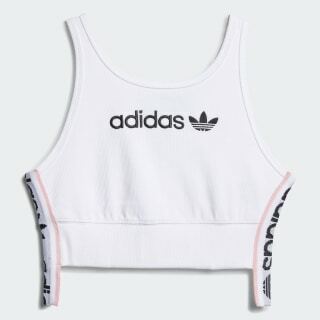 A sporty bra top with a tonal adidas graphic. This bra top has a sporty look with an adidas Trefoil graphic across the chest. It fits tight and stretchy in soft ribbed cotton. Bold banding tape stands out on the sides and extends beyond the hem.